Summer Sun – we go to a club every week that we help run. For my special needs child it really is his lifeline out of school. With other children that he can relate, he doesn’t have to worry about what is said or done. If another special needs child says something out of turn, it really is because they just don’t like each other, and nothing to do with their disabilities. It is lovely to see these kids acting like kids, and the mums get to have a coffee and a chat with other mums that “get it”. Friendship is fabulous. 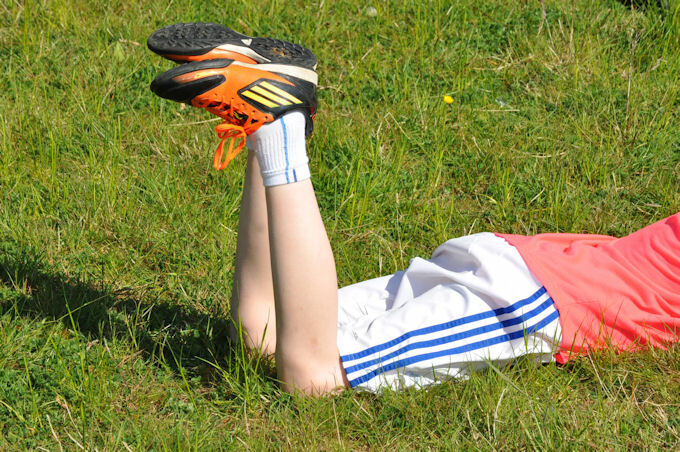 It’s nice to see kids making the most of the sun, even it if it is just to laze about on the grass.